It is not common for hundreds of thousands of people to attend a funeral and a memorial. However, the people of North Korea are mourning the loss of Kim Jong Il and are planning an enormous memorial for their long time leader. Kim Jong Il passed away from a heart attack this month on December 17th. He was 69 years old. He had been the leader of North Korea since his father, Kim Il Sung, passed away in 1994. 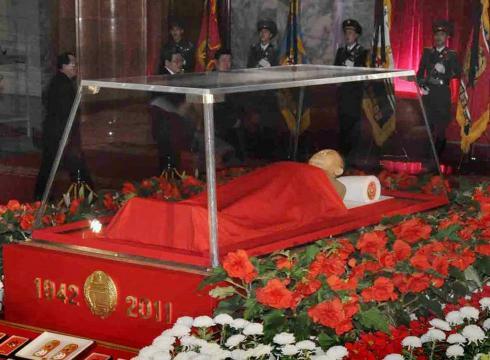 Many expect the funeral to be similar to Kim Jong Il’s father’s memorial in 1994. People are anticipating a showcase of the military and much celebration of Kim Jong Il’s life. Kim Jong Un, the son who is often in the spotlight, is going to be at the ceremony. It is unknown if the late leader’s other two sons will play a part in the memorial. The memorial is expected to begin Wednesday and it will also be the official passing of the leadership of North Korea to Kim Jong Il’s son, Kim Jong Un. After Kim Jong Un is crowned, the international community will look to see what type of changes, if any, are going to be made in North Korea. The isolationist nation that has very little communication with other states is an outcast in the international community and many are hoping that with new leadership, North Korea will enter better days.